Oh, I swear…she just gets sweeter and sweeter by the day and now…she smiles you when you talk to her now and I think I’ve officially melted like 50 times because I just love it soo much!! She’s turning into a chunky little monkey…12 pounds and counting! Ok…this picture is a bit ridiculous…but it cracked me up soo much that I had to share it! I was taking pictures of Charli when my glasses fell off and landed on her…which gave me the brilliant idea to put them on her…and when I did..she wrinkled her nose all up and looked like this little old school teacher and I was just laughing soo hard…I had to share! She is too cute. I love her chick outfit. I’m not sure your neice and nephew could be any cuter! Brace yourself cause the cuteness has just begun!!!! Charli is adorable! What a hoot! Love the glasses shot.. looks like she is trying to snap her little fingers! Ohhh my goodness. She is just so beautiful! The picture with the glasses is just too funny! 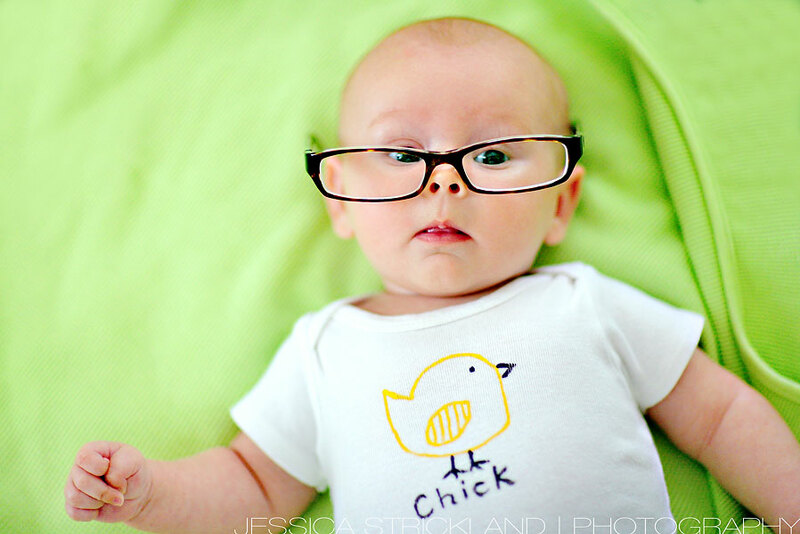 Something about babies in giant glasses… lol. I love that last photo! 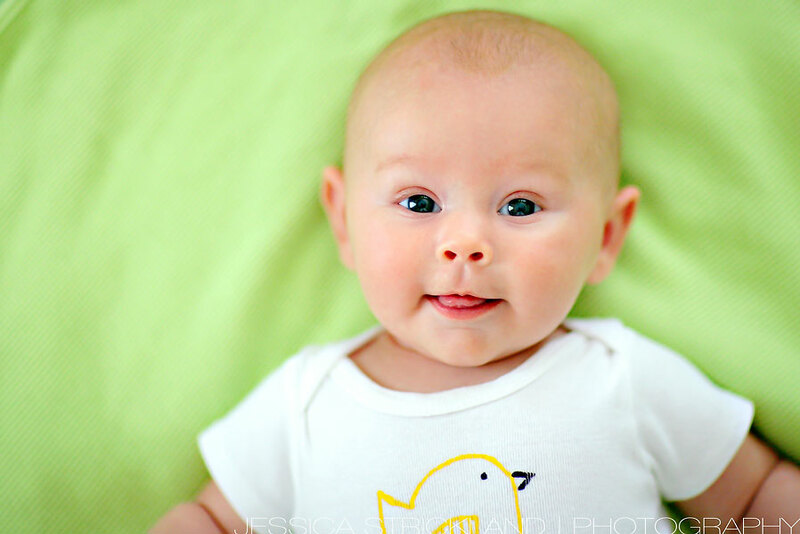 How funny is she…already has a sense of humor! jess…i think she looks like her aunt!! !